What do we do before January 5th? Do we need multiple game servers? Do we need the forums? Does we make money on donations? A few days ago Team Vipers shut down. Exactly 6 years after I join the community and 5 years after taking over as owner, I decided to step aside. I announced my decision to my admin team in November and asked if anyone wanted to take over. A week later I made the announcement public. I copied that below. My hope was that someone would be willing to take over day to day operations and management. Unfortunately, no one was able to take on the responsibilities. I had to make the hard choice of shutting down the community. I am unable to provide the time or monetary commitment this community requires any longer. Team Vipers was a home and community for 6 years. I've met a lot of people playing games with members of the community. Several other sites were created by members of Team Vipers. They have indicated they'd be willing to absorb and welcome members from Vipers. It's been a great run. 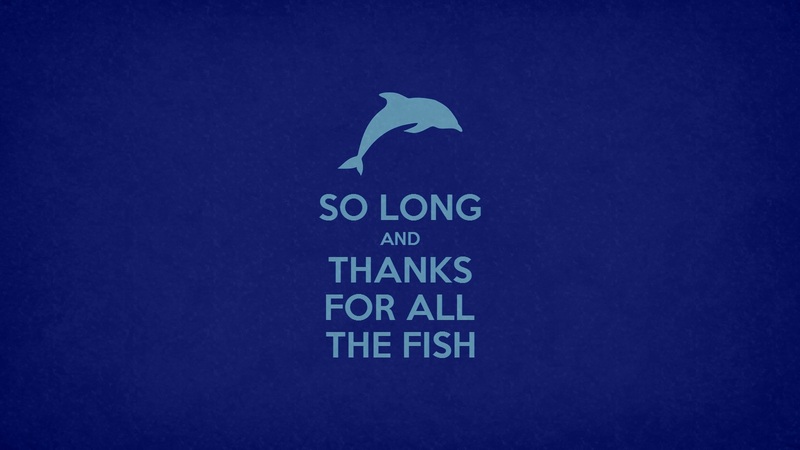 So long Vipers, and thanks for all the fish. On January 5th, 2015, I am stepping away from Vipers as the owner and administrator. Unfortunately, I no longer have time to maintain the servers in a way that benefits the community. I announced this to the admin team earlier this week. I am giving you this heads up to discuss the future of Vipers. If someone wants to step up and take everything on, I'll gladly offer help during the transition. If you have questions about what happens behind the scenes, I'll answer those as well. In fact, I'll start with a few questions that I think may help lead this discussion. Short answer - No. If the community wants to focus on a specific server mode, then a single server is all that is needed. When I joined Vipers there were two servers: An Orange server and a vanilla server. For the first year-ish, the servers base grew and contracted around different mods. Orange turned to Crit Orange, a Randomizer appeared and then splintered into it's own community, the Nest grew and then shrank. Zombie popped up. Prophunt and Dodgeball came around multiple times. In all of this, there has been between one or two popular servers, with the rest being very niche. Those are for fun. Those are also frustrating to fix when updates break them. Again, no. The benefit the dedicated server provided is IP address stability. Before the dedicated server, the game servers jumped around IPs every few months. With each move players were lost. Some found us months or years later when they randomly stumbled upon us. Others are just gone. More importantly though, is dealing with performance. If there is a hosting company that can provide high quality, low ping, servers at a cheap price - that is worth it. A word of advice, avoid EscapedTurkey. It is a one man operation and that person doesn't know what they are doing. If an issue crops up, it takes hours to days to resolve it. It is because of them that we purchased a dedicated server. One other note. I can not transfer the dedicated server to anyone. It's rented in my name and the hosting company doesn't allow transfers. So, no matter what happens, the IP addresses would have to change anyway. The upside of this long transition period is that you have plenty of time to advertise and set up the new servers. We could have in game announcements AND we can lock the existing servers with the new IP in the titles. It won't be an immediate cut over. It provides notification to the players. Yes. The forums are what kept me in Vipers before I ended up in the position I'm in now. Without the forums, there is no community. There are people that you see frequently on the servers, but rarely any meaningful interaction. With the forums we get stories of our members' lives. If, however, you are going to stick to playing Valve games, I highly recommend a change in forum software. Find something that supports integration with Steam (either natively or via plugin) and start over. With that integration, you can do so many more (and non-hackish) things. You can pull information from Steam or any other TF2 community that exposes an API. Banning a player on the servers and the forums is easy as both are based on the same thing. Additionally, requiring the Steam login should eliminate the spam (no random Chinese, Russian, Californian spam bots). In any case, I will provide a full database dump for you. If you stick with PHPBB, I think a fresh install of PHPBB would be a good thing, but you'll have all of the data and should be able to simply import it into the database. If you go with something else, you'll have the database and can attempt to use that software's conversion script. Results will vary on how that works. No. Since July of [2014 to November 2014], the community has donated $20. Total. It has been 14 months since we reached our monthly goal. In the last year, we have broken $50 only 4 times. To prevent someone from misconstruing this as a plea for money, I've disabled donations. I don't want someone to start a misguided "Save the Vipers" campaign that you believe can succeed with donations. The way to "save the vipers" is to come together as a team and discuss your options. Someone in the community may step up, but if no one steps up by January, then Vipers has one last New Years hoo-rah and fades to the internet. If someone does step up, I am still available to help with initial set up. I'm still available to play games and to talk to. I'm not dropping off the face of the earth and I'm not rage quitting. This is very much a case of real life happens. I think that is going to cover your initial questions. If you have more, post them here and I'll answer them. It has been a great 6 years with everyone here. While I may be stepping down as owner, if someone keeps Vipers around, you'll keep me around as a regular. I've had fun talking to all of you and playing with (and against) all of you. Ownership of the Steam Group for Team Vipers has been transferred back to Russell, the original founder of Vipers. The announcement was posted to the group earlier today. I've also transferred data from the Vipers blog to my personal one here and removed links to Vipers from most posts since they will all fail to resolve correctly. Unfortunately, it's not worth it to preserve small bits of history in this case and was just easier to remove the links. The best I can do it transfer the blog posts and copy snippets or screenshots here. Direct links to the forum discussions has been intentionally removed.